Well, it's difficult for me to admit it but I guess I can accurately be described as a Luddite now. I'm slowly coming to the conclusion that technology, especially computer-related digital technology, is, on balance, diminishing the quality of life. I know it's not a massive revelation but it's still hard for me to admit it. A couple of things happened to make me realise the path I'm on, a path away from the ubiquity of electronic devices and their propensity for restricting our life experiences under the guise of opening up new vistas. First, my iPad started playing up. In truth, it had been slowing down and becoming ever more recalcitrant for months. I thought I'd teach it a lesson so I backed everything up - or so I thought - and wiped the bugger clean. That marginally improved the performance of the machine so I was reasonably happy - that was until it came to developing a film using the Massive Dev Chart app on the iPad. That was when I realised that I no longer had the app on my iPad. It had disappeared along with my developer times and all my notes which I'd typed into the app. Now, I know some of you will be sitting there thinking, "Well, that's not exactly the iPad's fault, is it? The muppet forgot to back up the app and now he's blaming the device!" And, of course, you'd be right. You could also accuse me of over-optimism in placing my faith in the iPad as an archival storage system when notebooks and pencils are cheap and reliable. I get that, too. However, there is one storage system that has stood the test of time despite being given no special treatment nor back-ups of any kind - the humble Filofax or personal organiser. I stumbled upon mine in a box of stuff that I hadn't looked at for many years. 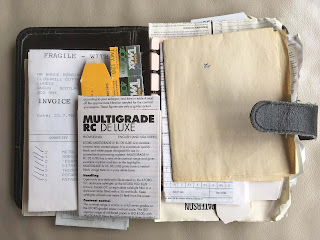 It's a cheap copy and not the big name brand but it was still stuffed with developer notes and information sheets from boxes of developer and film going back more than 25 years. It was a lovely thing to behold, if truth be told. 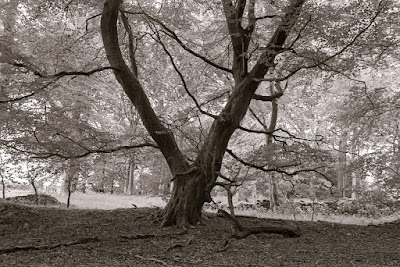 A snapshot of a point in time before digital photography was even a term, when I had most of my life before me and when Jessop's own-brand film (re-packaged Efke) was a pound a roll (it always comes down to money eventually, doesn't it!). 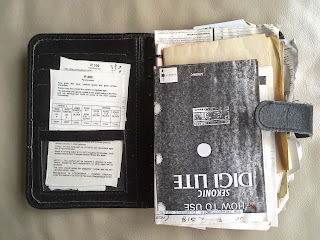 Whatever happened to the Filofax, I wondered to myself. It was such a big part of the stationery industry and now it's gone. Another victim of the digital takeover. Except it isn't. Gone, that is. There's a burgeoning Filofax community out there peopled by all sorts from hipsters and young mums to company executives and lawyers. This reality kind of blew me away. But it was also an affirmation. It fairly made my day to know that not only was I not alone in my growing mistrust and dislike of digital devices but I didn't even need counselling. I wasn't (that much of) a freak after all! My eager research into the Filofax led me, almost inevitably as it turns out, to a great website called Philofaxy (very clever name) where I discovered, amongst many other things, that personal organisers have been around since long before the war. The main contributor to the blog seems to be a retired UK radio engineer - and photographer - who has a fine command of the English language so it's not only chock full of information but can also be read without filling me with rage at the slow dismantling of our main form of communication. Everything you might reasonably want to know about personal organisers is readily accessible on the Philofaxy site. Including the fact that you can pay as much for a leather bound Filofax or similar quality brand as you might for an iPad. Obviously, you could write your photography info on a £1.50 notebook out of Asda but you could also use a £25 Minolta SRT101 as your main camera and there aren't many who do that. A good place to start on the Philofaxy blog is right at the beginning where you can read about the events that sparked the whole thing off. There are printable PDF files for a whole range of inserts for the Filofax from notebook pages to "to do" lists and calendars and all the way through to PHOTOGRAPH EXPOSURE NOTES! 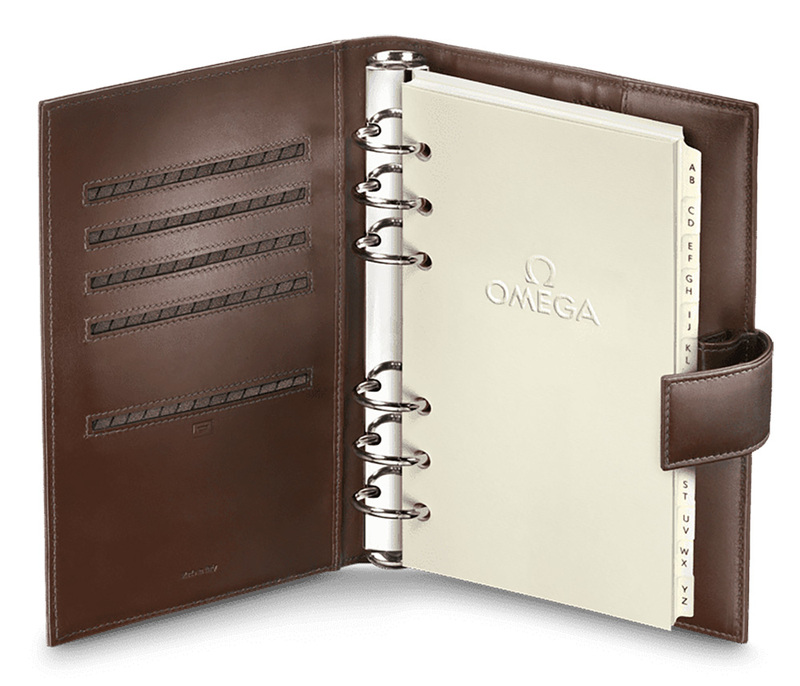 Yes, you can print out your own pages and slot them into your personal organiser for use in the field. OK, the money you'll save from this DIY approach won't enable you to pay off your mortgage early but it tickles the nerve centre where independence and self-sufficiency reside and, at least from my perspective, imparts a warm glow to the being. A nice Omega organiser. £350 of your finest British pounds, sir. So how much is entry to the Filofax club? 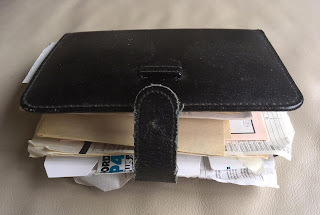 Filofax organisers start at about £30 or thereabouts and go right up to several hundred pounds. There are other premium brands which are even more expensive. 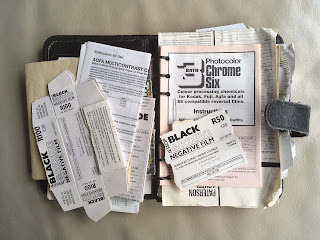 I really fancy a leather-jacketed one in a nice dark brown filled with my DIY exposure note pages and associated scribblings in the notebook section. I can guarantee that such a Filofax would be around as long as I am which is more than I can say for an iPad. In fact, just last night, I was sitting on the settee with said iPad looking at some Ray Moore photographs when I stopped to blow a hair off the screen. Turns out it wasn't a hair but a long, hairline crack! I looked further and found a series of cracks partly hidden by the cover I use over the device. Again, the "muppet" must confess that the cracks are no doubt the result of some rough handling as iPad screens tend not to self-destruct. But must things always happen for a reason? Or is it only coincidence that my iPad has started the no doubt inexorable process of disintegration just as I rediscover the joys of the battery-free personal organiser? I don't know the answer to that one. But I do know that I'll not be taking any chances. From now on, my developer notes, etc, will be committed to good old paper using no more than the humble Biro. Bruce, I swear by the small Moleskine ruled notebook!! Cheap and reliable and robust. Biro? Huh! New-fangled stuff that runs out exactly when you need it. Pencils are the way. And pencil marks don't fade with time. I used to use those wee notebooks when I was a reporter. The ones we were issued with were too big and the small notebooks fitted in a jacket pocket much better. Another one here who never left paper behind (if only to maintain my writing style and skills - I can't typw to save my loife!!). 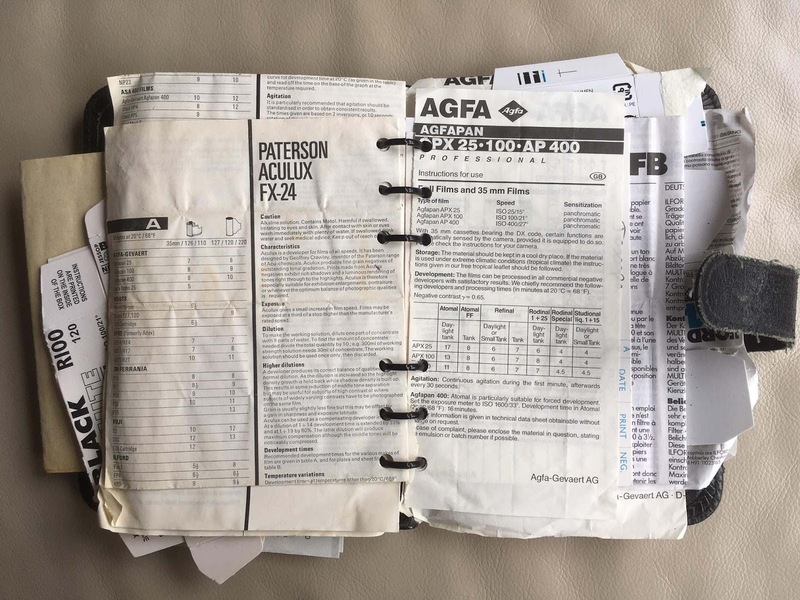 I use a Moleskine 'Page a Day' diary for work appointments, the company (BHGE) actually ISSUED us the Moleskine Professional notebooks to use at work, I still have my original Filofax (circa 1994), various Franklin Covey binders and one from Avery in Germany. I gave a training course recently in Houston, TX, and all the Milennials who attended used paper and ink sticks (aka pens) - - who would have thought they could work that one out!!! of course, paper and ink sticks are retro, man, and SOOOOOOOOOOOOOO hip! 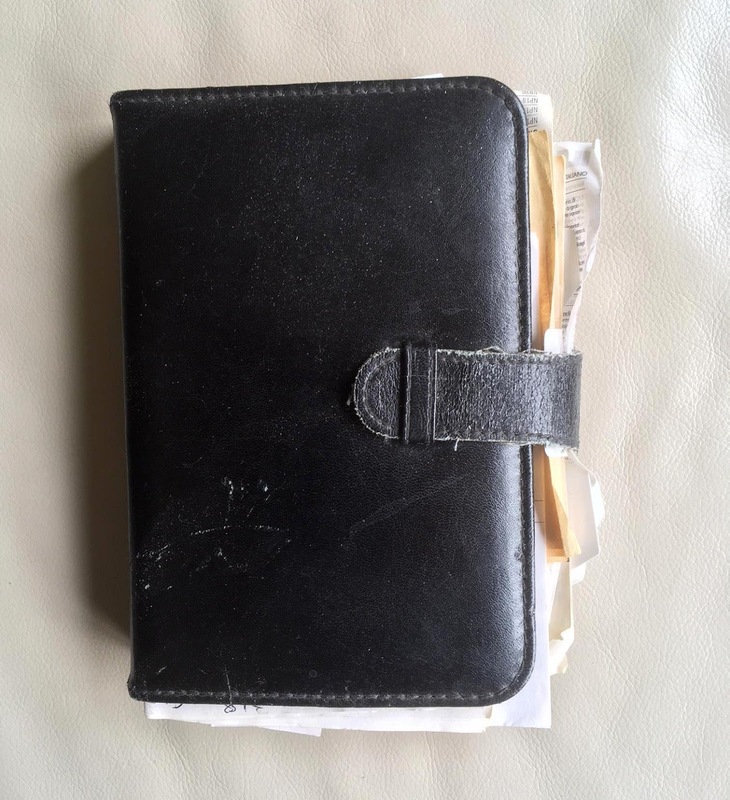 I bought a used Franklin "Filofax" type organizer for my wife at a thrift store for $1.00 (I already had three but she wanted this one). I also have the special six hole punch for the 5.5x8.5 pages (also bought at a thrift for a buck). I have been printing my own appointment pages since the late 90's using Outlook. All in all I prefer standard 5.5x8.5 notebooks and regular notebook paper to the non-standard 6-hole stuff but I manage to do both. For carry around I use the top bound spiral notebooks, 3.5x5, I'll buy the fancy Rite-in-the-Rain occasionally, but the rest of the time used the Walmart ones with the plastic covers. I make all my students carry one, too, to record exposure data. Strange this. Still find a paper style diary useful and last year found my old filofax (a Billingham actually, wonder how much that's worth?) in a drawer. I then discovered that my local branch of Wilkinsons (don't know whether they exist in your neck of the woods) still sells the diary inserts on nice cream paper complete with lots of other accessory pages for the vast sum of £3! Yippee! I seldom comment on posts, but, one compelled me too. While electronic gadgets are useful they have their limits. In my darkroom I have a small plastic binder that is full of the plastic pockets that take letter size paper. I have saved all the information that comes from the manufacturer of film and paper in these pockets. I have also have printed out various formulas for developers and made notes on them. I can easily flip through the pages to find what I want. The plastic pockets keep the odd sizes of manufacturers literature organized and easy to spot. The pockets also keep everything dry. I love these stories and reading the comments is just as interesting as the article. I work in IT and I always take notes in pen and ink (I actually have the fountain pen equivalent of GAS). When I was an electronics engineer in the navy we were issued little blue notebooks, which we affectionately called "blue brains". "Whats' the formula for converting watts to db?" "hang on I'll just look it up in my blue brain!" Thank you for the mention of Philofaxy. Hello Bruce. I just found your blog and wanted to cheer you on with a comment. I relate so very much with your feelings in this post. I look forward to more of your text and image based transmissions. Continue!